Of all causes of vulvar cancers, herpes genitalis is the most frequent infectious cause. 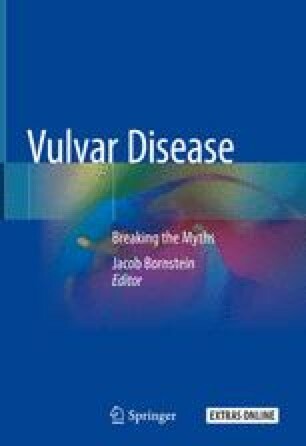 The approach to the vulvar ulcer should determine if it is a sexually or nonsexually transmitted infection and if neoplasia is involved. Another approach to differentiate vulvar ulcers is according to their presentation, for example, the ulcer being acute, recurrent, or chronic. The differential diagnosis is made according to whether pain, dysuria, or recurrence exists. Specific etiologies of vulvar ulcer are discussed: syphilis, lymphogranuloma venereum (LGV), granuloma inguinale, chancroid, Lipschütz ulcer, and Behcet’s syndrome.